Many job seekers take a break from job searching during the holidays. It’s a hectic time of year, and it can be a challenge to juggle getting ready for the holidays with keeping a job hunt moving forward. But, that may be a mistake. Contrary to what you might think, hiring doesn’t stop during the holiday season. Employers hire when they need new employees. A slower holiday season for some businesses means more time for hiring. It can also mean less competition for available jobs because of the number of job seekers who do take a break from their job hunt. Still not sure whether you should call it quits until the New Year? Here are some reasons to keep your job search going during the holiday season. Employers are Hiring: Don’t think for a minute that companies aren’t hiring. Check the job boards, like Indeed, Monster, CareerBuilder, or Dice, and you will see thousands of available jobs that employers need to fill now. Be sure to check the leading job sites regularly, so you don’t miss out on job leads. Less Competition for Available Jobs: Even though you might need a new job, it can be hard to manage a job search when there are so many other things happening during the holidays. For some people, it’s easier to focus on the season than the job hunt. That’s fine, of course, but if you’re a juggler who can multi-task, you’ll find less competition for jobs. Keeping your job search going could give you a chance for an interview that you may not have got during another time of year. That's because the candidate pool was more competitive during another time of year. It’s also a good idea to keep your job search organized. Keeping your job search organized will help you manage multiple priorities. More Networking Opportunities: You couldn’t pick a better time of year for networking. There are many social and business holiday functions during November and December when you can connect with people who can help your job search. Don’t be shy. Most people are thrilled to have the opportunity to pay it forward by helping you out, especially during the season of giving. Consider getting a business card made with your contact information and the URL of your LinkedIn page, if you have one. Bring a supply with you to give to the people you meet at networking events and holiday parties. Have an elevator pitch ready so you can quickly share information on your background. Unemployment Benefits Are Limited: There are no extended unemployment benefits in place. The only unemployment compensation available is the weekly benefits provided by your state. That’s a maximum of 26 weeks, less in some states. Be aware of when your unemployment runs out if you are thinking of holding off on your job search. Salary and Benefits in Place for the New Year: It’s always good to start January with your life in order if you can. Having your compensation set for the year not only helps pay the bills. It also helps with budgeting and tax planning. A Temporary Job Could Become Permanent: If you are hired for a temporary holiday season job, you might get to keep it. Companies typically keep some of the temps they hire for the holidays, and you could be one of them if you make a good impression on your employer. You May Still Get Holiday Time Off: You will still get some holiday time off from work even if you’re a brand new employee. Many companies are closed for at least Christmas Day and New Year’s Day. Others close for even longer when the holidays wrap around a weekend. You also may be entitled to pro-rated time off, depending on your start date. You May Be Able to Negotiate a Start Date: Start dates can be negotiable. Two weeks is typical if you are giving notice to your current employer. You may be able to extend that out to a later date, especially if there are Thanksgiving or Christmas holidays when the business is closed. That would give you a bit of extra time to move a start date back. Here’s how to respond to interview questions about when you can start working, and here are tips on how to negotiate a start date for a new job. Extra Money for the Holidays: If you get hired sooner than you expect, you will have extra money to spend for the holidays. You will also have the peace of mind of knowing that you have a job to go to. That will save some stress of worrying about having to start your job search over on January 1st. Get a New Wardrobe: Shopping for yourself is always fun. It’s even better when you can take advantage of holiday sales and discounts. If you have a new job lined up, you can shop for a brand new wear-to-work wardrobe to start your position in style. If you’re job searching, it’s a good time to pick up a new interview outfit or two on sale. 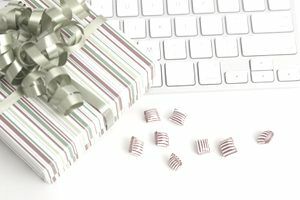 Use Employee Discounts for Holiday Shopping: If you get hired for a retail or hospitality job, you’ll be able to use your employee discounts for shopping for holiday presents and gift certificates. That's perfect timing for gift-giving. Hiring used to be seasonal. Now it’s on-demand. If a company decides that they need a new employee or if a current employee moves on, they won’t wait to start the hiring process. If you’re hiring ready, you’ll be positioned for job search success. Don’t miss out on good jobs because you have decided to stop your job search. Even if you cut back your job search activities and spend less time you’ll still be positioned to get hired, and it’s always better to get hired sooner rather than later!